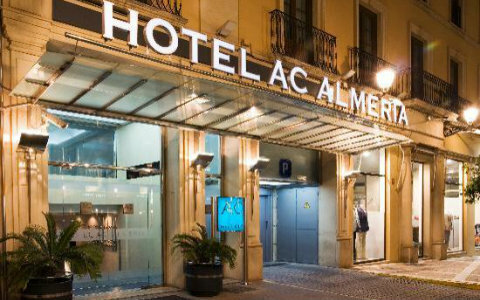 The AC Hotel Almeria is located right downtown in the historic and commercial center of Almeria city, close to all important sights, shops, etc. 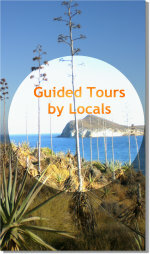 Of course the port and beaches can also be reached on foot. 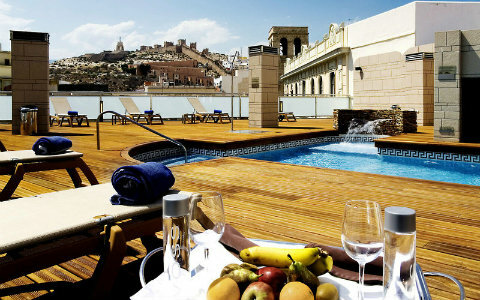 It is next to the old town and the Alcazaba Fortress. Go shopping at Paseo de AlmerIa, just 25 meters away. The Moorish Aljibes are within a 2 minutes walk and the Cathedral about 5 minutes walk. 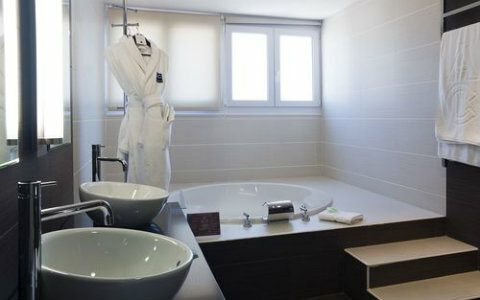 It has been fully renovated into a modern atmosphere hotel. 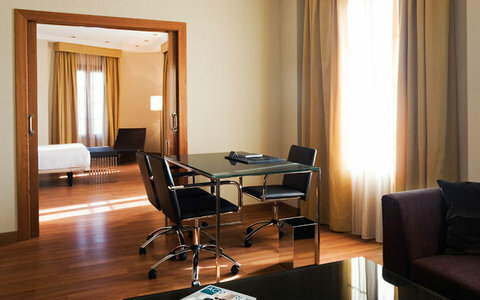 The rooms are spacious, welcoming and very comfortable, with all the exclusive details you may expect from a 4-Star Hotel. 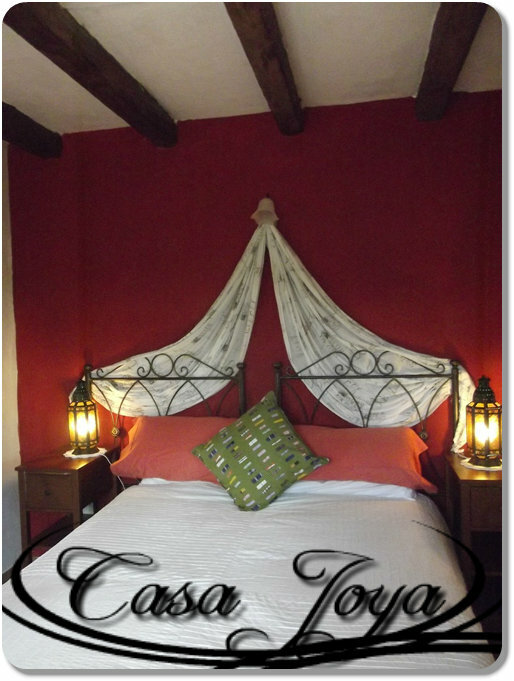 Decoration includes exclusive details such as special reading lamps on the headboard. 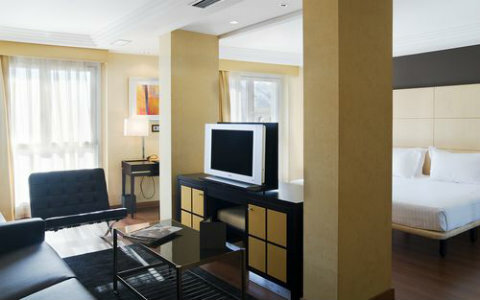 In addition, each room is fully equipped so guests do not miss anything including a free minibar, individual air conditioning, TV with over 20 channels and free high-speed Wi-Fi. Room service is available. 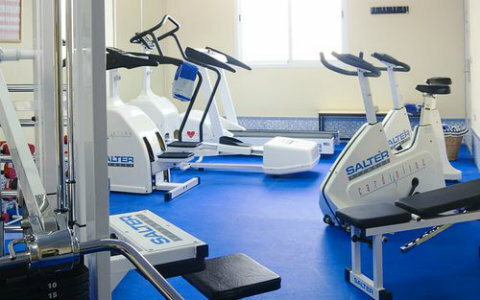 Facilities at the Hotel AC Almeria include the free Fitness Center with fitness equipment, exercise benches, steam room, sauna, television and stereo. Also of particular note is the outdoor pool, where you can cool off on hot days. The facilities at the AC Hotel Almeria also are being completed with the following services: free newspapers, free Wi-Fi internet, bar, parking, jacuzzi, laundry, breakfast served as a buffet or a la carte, concierge, porter, safe in reception and Business facilities. The hotel pool is designed to offer maximum comfort. The beautiful view of the city, is a perfect space to leave behind the stresses of the day, relax, sunbathe, take a little 'exercise and forget the tensions. Please note: the access to the hotel pool is only possible at certain times of the year. AC Hotel Almeria guests can use the hotel's terrace, an area designed to leave behind the stress of a busy day with an aperitif, a cocktail and anything else in the company of friends, family or partner. 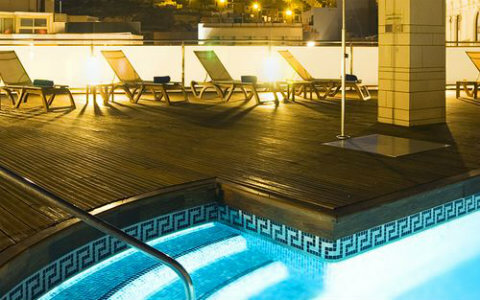 It is a space in which to enjoy a panoramic view of the city and which also includes a pool area and solarium. 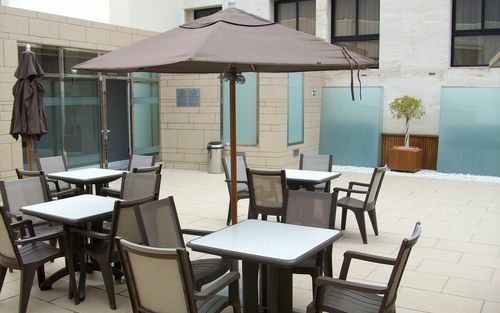 The terrace is also equipped with deckchairs, tables and bar / dining and cocktails for up to 50 people. 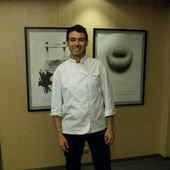 The Hotel AC Almeria' s Restaurants are conducted by celebrity chef Antonio Marcos Quintero Aparicio. 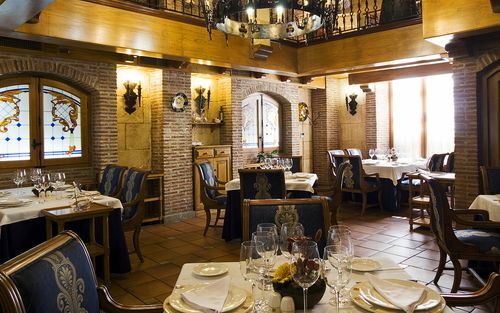 "EL ASADOR", decorated in typical Castilian style (wood and wrought iron), is considered a reference in the city with regard to the preparation of grilled, baked meat and creative cuisine. 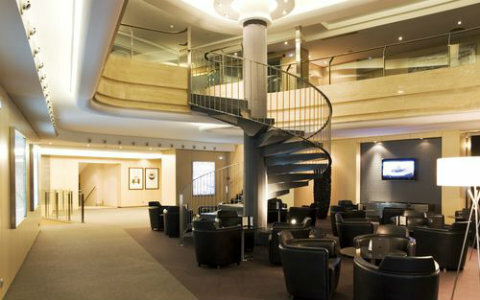 It also offers a variety of menus for business, banquets and parties and a variety of tapas. Among the specialties are ham and rib of beef. The hotel's chef, Marcos Antonio Quintero Aparicio, has over the years developed an excellent career in the restaurant business. He began his culinary studies in Seville and since then has always been distinguished for his work in a variety of cuisines including those hotels that have had the pleasure to count on his talent: AC Córdoba Palacio and AC Sevilla Torneo. 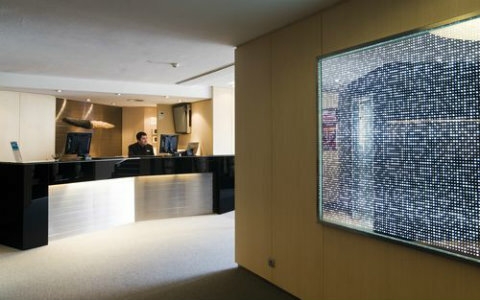 In addition, he won twice in a row the award of the creative Feria de la tapa Seville.